The Dolvik 30 is a high performance runabout with overnight capabilities, suitable for inland waters and coastal cruising. 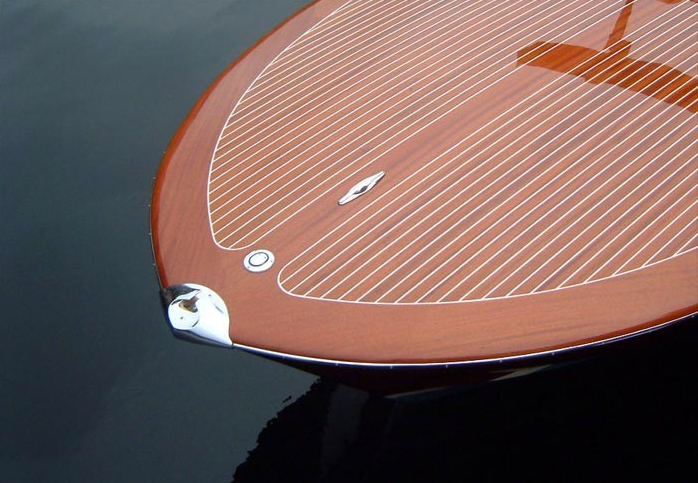 The D30 is constructed in cold molded African mahogany with West System epoxy, combining a very good strength/weight ratio with low maintenance requirements. The hull has excellent sea going capabilities and steers smoothly through all type sea and swell. The twin-engine version with MerCruiser inboard/outboard propulsion makes her easy to manoeuvre when coming alongside in harbour. The cockpit features an ergonomically designed pilot/co-pilot position with custom dashboard, storage facilities and a u-shaped sofa. 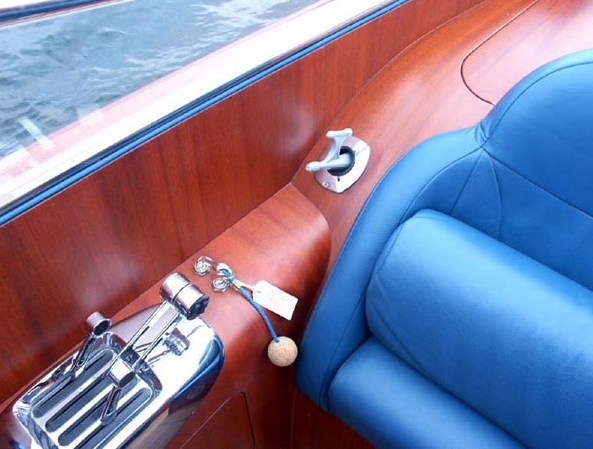 Deck fittings and intakes are in custom chromed brass, windshield by choice in aluminium or stainless steel. The harbour cover can be split and the forward part has suitable clearing for seated operation. 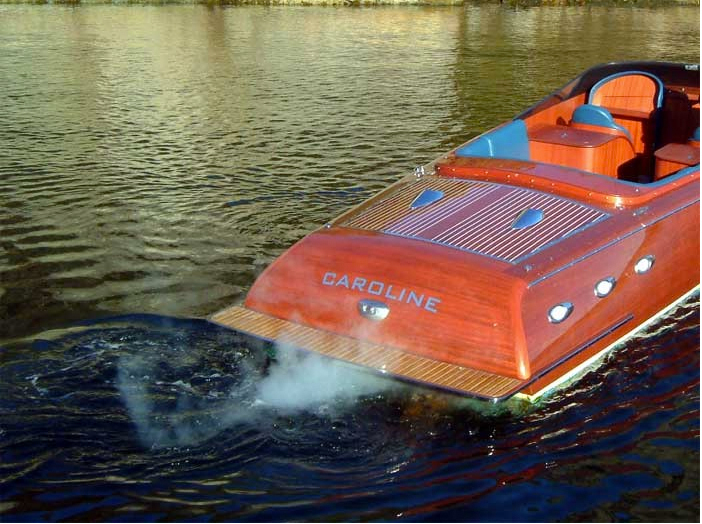 The boat is delivered with various engine options, maximum speed 60 knots. The interior is in mahogany with a teak cabin sole. The forward cabin has a double settee that sleeps 2 plus adequate storage. The engine room hatch opens electrical/hydraulically and is operated from the cockpit. The engine room provides good access for motor maintenance and storage for spare parts, tools and liquids. A fender room is located forward of the engine room with double hatches for quick storage of lines, fenders and anchor ensuring a clean cockpit during the trip.